The Uni-Lions have signed former Kansas City Royals LHP Ryan Verdugo for the 2018 CPBL season. With the signing of Verdugo, the Uni-Lions have now officially filled their foreign player quota for the year. 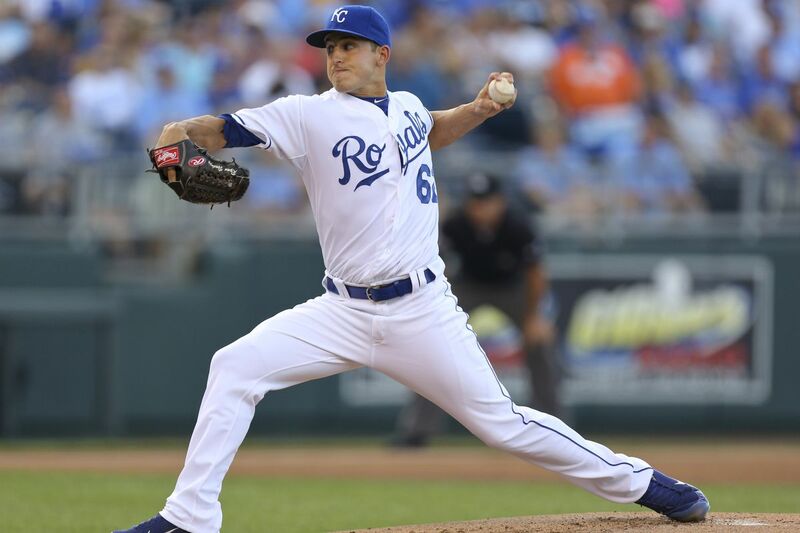 The 30-year-old Verdugo was drafted by the San Francisco Giants back in 2008 and made his MLB debut with the Royals in 2012. After a brief stint in the big league, Verdugo been pitching consistently on the Triple-A level. Prior to his signing with the Uni-Lions, Verdugo was pitching in the Mexican League and the Mexican Pacific Winter League with a combined record of 3.13 ERA and 1.23 WHIP across 22 starts over 144 innings. I remember Ryan Verdugo from when he was a farm hand in the San Francisco Giants’ system. CPBL teams went with a lot of Mexican League pitchers this off-season. That makes a certain amount of sense, because the Mexican League is the summer league immediately below the CPBL on professional baseball’s food chain. In season, though, it appears that CPBL teams like their replacement pitchers to come from the Atlantic League, presumably because pitchers from the Atlantic League are much cheaper to acquire than Mexican League pitchers in season. What does this signing mean for Bruce Billings? Is his CPBL career over, or will he end up signing with the Guardians? Haha yeah, this year’s theme is definitely Mexican League instead of Atlantic League. But I think this got something to do with players’ agent. I heard rumour all three Uni-Lions’ foreign players this season are all from the same agent. Yeah, I think so regarding to the mid-season part. They tend to pick players from Atlantic League if it is going to be a mid-season replacement. I assuming easier to deal, already have 2018 stats ready and like you said, probably a cheaper sign comparing with LMB. As for Bruce Billings, it’s hard to say at this point. Uni-Lions told the media that the team is working towards having four pitchers in 2018. (three in major, one in minor). There is rumour Billings might be going to Guardians after FEB-28. I hope to see Billings back for another season, smart player and seems like a good guy to have around clubhouse too. It’s possible that the Uni-Lions thought Billings was too expensive for what the team thought they’d get from him in 2018. Billings has MLB major league experience and was coming off a fairly successful AAA season when the Uni-Lions signed him, so he probably started near the top of the salary scale for rookie foreigners. After two successful seasons in the CPBL, Billings may have asked for more than the Uni-Lions were willing to pay. If Billings was relatively high paid compared to other foreign pitchers, the Uni-Lions may have felt that Billings should have done better in his two CPBL seasons, in neither of which he was unquestionably one of the league’s top three starters. At the same time, Billings’ strikeout rates were strong both seasons, which is reason to think he’d have still been a good bet for 2018. None of the pitchers whose signings have been announced so far look like the kind of pitchers who came to Taiwan to pitch in the CPBL’s minor league. In CPBL foreign players market, new import tend to get 2-3 months contract and then re-roll the contract after. Someone who have proven themselves may get 6 months – half season contract. and for Loree’s case, a full year guarantee contract. Maybe Billings is actually going to the Guardians. As him and Woodall definitely going to be cheaper than Eric Hacker.